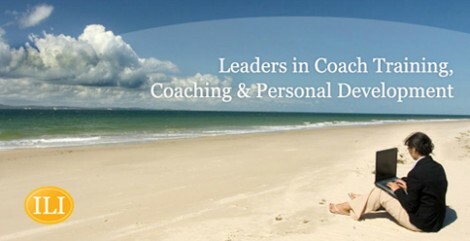 The ILI is one of the largest coach training organisations in the country offering a professional Diploma in Personal Coaching & Business Coaching. 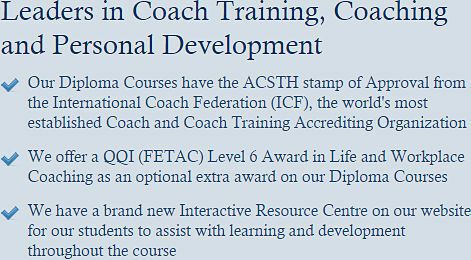 This International Coach Federation accredited course will, on completion, enable participants to begin work as professional Life, Business and Executive Coaches. Participants who come from a variety of career backgrounds bring their new coaching skills set back into their workplace or company or set up as a professional Life, Business or Executive Coach depending on their backgrounds and their preference. Others come on the programme for personal development reasons and all students will find the course “transformational” on a personal. For more information, please click on the headings to the right of the page.